Welcome to Alaska Back And Neck Pain Clinic. We provide Chiropractic and Massage Therapy Care in Anchorage, Alaska. 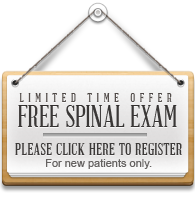 We would like to offer you a Free Spinal Consultation! Click below for more information. Alaska Back And Neck Pain Clinic is proud to offer Chiropractic, Massage Therapy and Physical Therapy in Anchorage, Alaska Suffering from back pain, neck pain, arm/leg pain? We can help! Save time by requesting an appointment directly on our website. Click learn more to get started! Alaska Back & Neck Pain Clinic is proud to offer cutting edge Chiropractic Care in Anchorage, Alaska. *This site is best viewed with Mozilla Firefox, Google Chrome or Apple Safari Browsers.